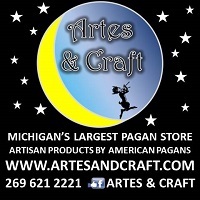 When you spend a long time among the various businesses within the Pagan community as I have, you tend to get asked quite often whether or not you know of any events at which the business owners could vend. I am often approached by various members within the Pagan community who are simply looking for events to attend where they can congregate with peoples of like-mind. Within the North Georgia community, we used to have quite a few of these events without having to travel very far; these days we’re far more hard-pressed to find any local Pagan or Pagan-friendly events that are less than an hour’s drive away from the Metro Atlanta area. As much hassle as it can be to load and unload, transport and fuel up when carting around your wares, there are some things many brick-and-mortar and small business owners look for in an event to make sure it will be worth their while when they’re looking to travel the vendor circuit. Is it local? — How far am I willing to travel? Is the venue indoor or outdoor? — Some people can’t stand to be in direct sunlight or heat/cold too long! Health reasons. Is there electricity? — Some vendors need light and WiFi to show their wares and take credit cards! Will I need to book a hotel, can I do primitive camping, or does the venue have lodgings within my price range? — Everyone has their own comfort level needs. Vendor fees! — Some events charge just a vending fee by booth space, some charge only admission, some only require a donation for raffles, some a mixture of all of the above. Each venue is different! Is the venue staff friendly and responsive? — If you don’t click with the staff, chances are you won’t like the overall feel of the event. You need to know the staff running the joint is reliable and available when you need them. Is it a single or multiple day event? — For some people, traveling more than an hour with a lot of precious cargo is not worth only vending for a few hours. They want to be able to set up for a full 2-4 days! Is it worth it? Is it family-friendly? 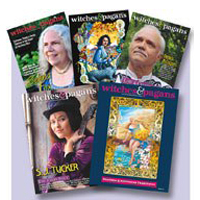 — Several people have a hard time finding events that welcome children within the Pagan community! If you live within the North Georgia area, look no further than our very own Dragon Hills Retreat in Bowdon, Georgia. Two years ago I attended the three day retreat for Beltane in 2016. I had heard some not-so-good things about the venue when it was under different ownership in previous years, and as I did not know the new owners, I didn’t quite know what to expect. I was pleasantly surprised to find that the staff was not only welcoming, but also very pragmatic. Suffice it to say that when I left, I knew most assuredly that I would be returning again. Dragon Hills Retreat had everything from accessible WiFi, a large indoor, shaded barn for indoor vending, plenty of open space over a few acres of land for outdoor vending and recreation to camping, and if going primitive isn’t your cup of tea, they also have cozy 1-2 bed cabins with electricity and air conditioning! Flash forward two years later, as I had not been able to return for Beltane the year prior, I received the invitation as I do every year to celebrate Beltane at Dragon Hills Retreat for 2018. With a little spare time on my hands, I decided…why not? I enjoyed it thoroughly in 2016. I chipped in with one of my students to get a cabin and two booth spaces. After getting mixed reviews about the weather conditions, we were told it would be clear all weekend the day-of. We showed up, registered, unpacked, and immediately jumped into the fray, excited to meet and greet old friends and eager to make new ones. The weekend promised multiple vendors, a few lovely workshops from making your own wands and staves to an open discussion lecture on empathy and the various types that are out there. Additionally I was stoked for the rituals and the late-night fireside drum circles! Building up the fire for the drum circle! Indeed even though several faces were familiar to me from 2016, I did see several new (to me) faces and I was curious to get to know them. Another such new face was a traveling crystal and mineral vendor, Mary Scheidell of Eclectic Treasurez. Dragon Hills had seen crystal and gemstone vendors before but the collection that Mary provided from Eclectic Treasurez was only a fraction of her total inventory which was spread out across multiple events that weekend. 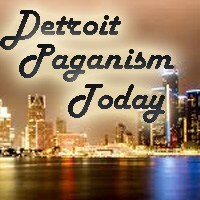 I was even more pleasantly surprised to find that Mary had already heard of the Pagan Business Network and PBN News from a friend of hers who had a membership. She was already carrying our brochures and business cards! Click for Eclectic Treasurez Facebook. With a whole weekend ahead of hiking, summer sun, workshops, vendors, rituals and nightly drum circles — and let’s not forget about the potluck dinner and raffle prizes! — it was an absolute blessing to find two particular vendors there who could help you unwind, relax, and destress from your earlier week to prepare you for a weekend of summer fun. How could you go wrong with an affordable licensed massage therapist on-site providing anywhere from a half-hour to hour-and-a-half massages with hot packs and hot stones?! Nothing says de-stress like some relaxing massage available all weekend long. Adding onto the spa-like treatment available that weekend was Usui Reiki Master/Teacher Mason Lightbourne of White Light Practices, a student of the Bellehaven Family Tradition of Witchcraft, and a Thumbtack Professional since 2016, with his own booth providing hour-long Usui Reiki healing sessions and intuitive tarot readings, all for love offerings. So you had the ability to get a relaxing massage and then drop by to have your chakras realigned and energy blocks removed all within the span of two hours! Click for White Light Practices Facebook. With all of the vendors, the opening ritual near the Faerie Garden, the beautiful scenery, nightly drum circles, and the crafting and Empathy workshops, how could this weekend get any better?! The stunning Ritual Hill awaited as all of the women participating in the main ritual tied ribbons onto the May Wreath which would eventually adorne the top of the Maypole –which the menfolk were out in the forest selecting at the same time. Once all was said and done, we finally began our dance around the maypole. I have to say, the view atop Ritual Hill was absolutely breathtaking and set the whole mood for the ritual. It was all coordinated by a Druidess, the Dragon Hills Ritual Coordinator in charge of a majority of their major rituals. At the very end of the fertility dance they announced the May King and Queen! Two volunteer staff members who had shown up to several work weekends at Dragon Hills to help set up for Beltane as well as Hawkfest only a week or so earlier, working on the property, getting things in tip-top shape for attendees. They worked very hard and had no idea that a vote had been taken to name them the 2018 Beltane May King and May Queen. Together they offered their blessings as the embodiment of the God and Goddess, giving each ritual attendee vials of solar water charged with rose quartz just before leaping over the Baelfire. That night we held a large and very lengthy celebration by the drum circle that involved much chanting and drumming, even some acoustic guitar. Spirits were high and the night concluded on a blissful note. The following morning a few of us awoke early to go to the opposite end of Ritual Hill for some early morning Tea and Meditation. In the picture below you’ll find Druidess Jamie (Dragon Hills ritual coordinator), Rev. Jonathon Bellehaven; M.Th. (PBN, PBN News, Bellehaven Family Tradition) and Mason Lightbourne (Usui Reiki Master/Teacher, White Light Practices, Bellehaven Family Tradition) atop ritual hill for tea and meditation.As the morning wore on, we decided to move the event back downhill for some Tea and Tarot before everyone began packing up. All in all the weekend was absolutely astounding. Even the little bit of rain we did end up receiving did absolutely nothing to dampen the spirits of every Beltane celebrant in attendance. 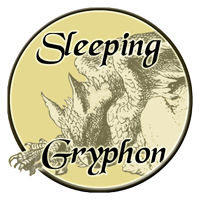 Dragon Hills Retreat will be hosting Hawkfest in September, and a Samhain event in October, and I know I certainly intend to be present for both! Upcoming in October as well is a Women’s Retreat where the massage therapist Ryan and Usui Reiki Master/Teacher Mason Lightbourne will be present offering a spa treatment package for an all-ladie’s weekend themed to the movie of “Practical Magic.” Check out their official website and find them on Facebook for dates and further upcoming information! This entry was posted in Advice, Bellehaven Family Tradition, Beltane, Business, Business News, Business Spotlight, Crafts, Crystals and Minerals, Divination, Dragon Hills Retreat, drum circle, Education, Empathy, Events, Fertility, Holistic Health and Healing, Jonathon Bellehaven, Pagan Business, Pagan Business Network, pbn news, Rev. 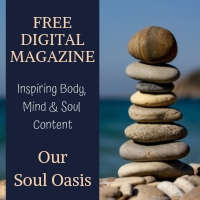 Jonathon Bellehaven, Ritual, Sabbat, Spiritual Paths & Religion, Staves, summer solstice, tarot, Travel, Travel Local, U.S. Paganism, Upcoming Events, Usui Reiki, Wands, Workshops by Jonathon Bellehaven. Bookmark the permalink.